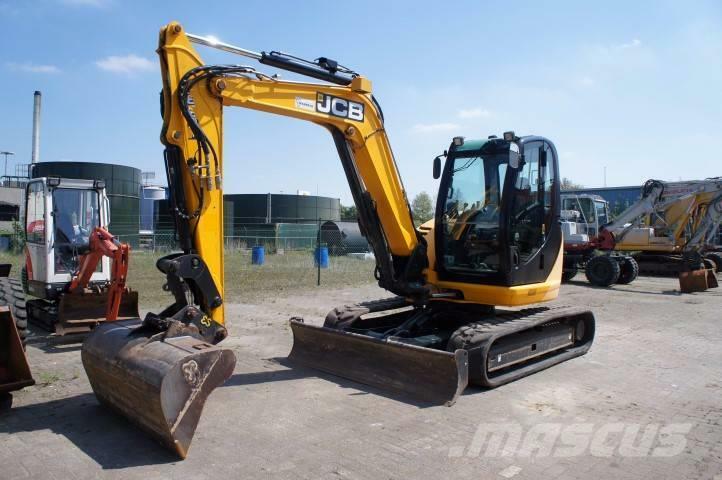 Dodatkowe informacje JCB 8085 midiexcavator, year 2010,serial number 715600, original color, weight about 8121 kilograms, approx. 4348 hours,extra hydr. functions, dozerblad, rubber tracks in a condition of 40%coupler,3 buckets, Isuzu diesel engine.